Earlier this week wrestling stars John Cena and Nikki Bella announced they were ending their relationship calling off their engagement. Now it has been revealed John made Nikki sign a 75-page contract before the pair moved in together in 2013 which agreed she would have to move out as soon as possible if they split. It also outlined Nikki would be considered a ‘guest’ in John’s household leaving her rather confused as to why she had to sign it. As reported by People, the contract was covered in the first season of American reality television show Total Bellas as Nikki told her twin sister Brie she felt uncomfortable with the agreement. In the contract John explained he didn’t want ‘there to be any misunderstanding’ regarding Nikki’s ‘presence’ at his home as a ‘guest’ before confirming she would have to ‘immediately vacate’ if he asks her to. He also asked her to remove all of her belonging ‘as soon as possible’ if she had to leave. Before Nikki signed the agreement, she did question John over certain aspects of the contract. He reassured her it was just to protect his fortune ensuring he could provide for the people he loves. This is what my life is. This is what it’s become. You met my family. You think my mom paid for that house herself? She didn’t. My brother lives in that house, they’re expecting a child. My younger brother, he’s got medical problems. I make sure he’s okay. I always tell them, I’m a horrible brother, but I try to be the best provider that I can. I just don’t want to ever be in a position where that’s in jeopardy. This statement of course had the effect it wanted to have leading to Nikki signing the agreement. 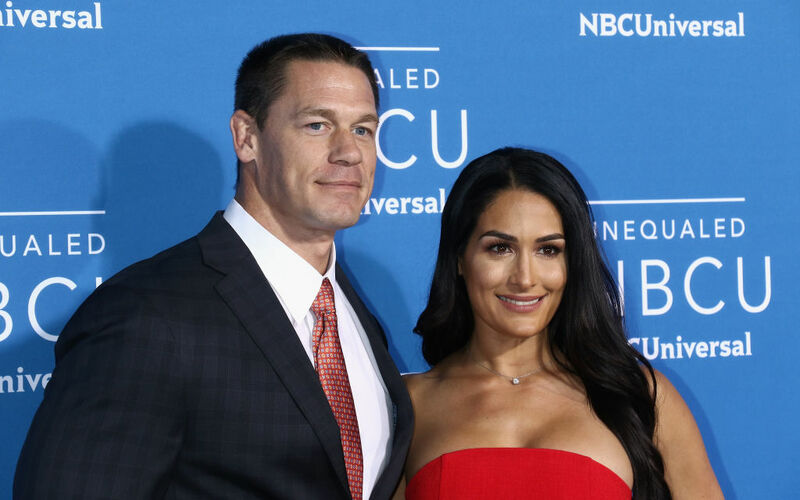 In a later episode of the show, Cena compared the contract to a prenuptial agreement explaining he had been through a similar experience when he divorced from his wife Elizabeth Huberdeau after three years of marriage in 2012. Having been through that process, here is how I view it. It is like buying a handgun for home defence. It gives you a sense of security, and it gives you a failsafe in case something happens. And those who buy a handgun for defence pray, pray they never have to use it. Without it, it’s a dogfight. The WWE stars announced on Sunday April 15 they had ended their engagement after six years of dating and a year after John proposed at WrestleMania 33. We wish both John and Nikki all the best in the future.